Address: 840 N Box Elder St.
1. Auction. The Auction Sale will begin at 12:00 (Noon) on Tuesday, March 17th, 2015. 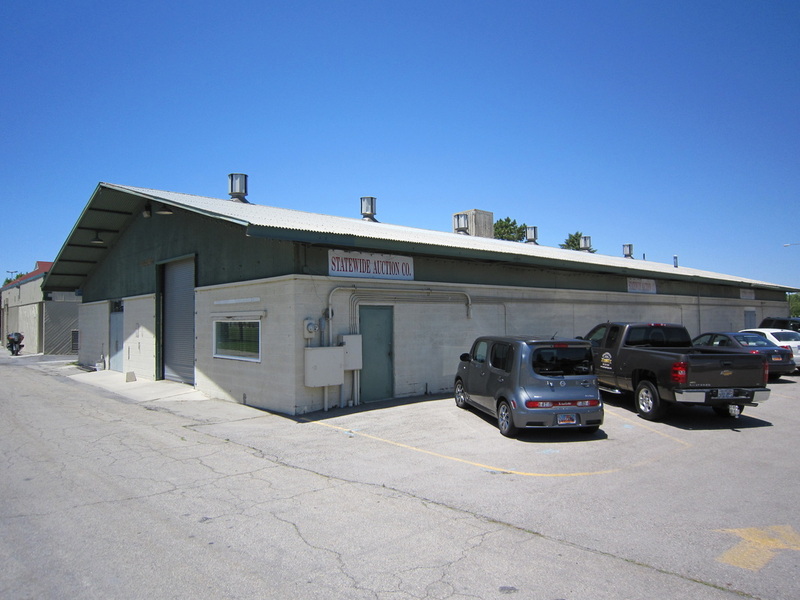 It will be held at Statewide Auction Company’s Auction Facility located at 5099 West Wheeler Way in Hurricane, Utah. The final results of the Auction Sale are subject to Court Approval. 2. Seller. The seller of the real property is the United Effort Plan Trust, under the direction of Bruce R. Wisan, Court Appointed Special Fiduciary of the United Effort Plan Trust. 3. Property Information. Interested parties may obtain information about the Properties by visiting www.StatewideAuctionCo.com or by contacting Statewide Auction Company at (801) 521-5600. Prior to the Auction Sale, prospective bidders are encouraged to inspect the Properties, review title reports, available plat maps, surveys, etc. 4. Condition. The Properties shall be sold as is, unrepaired, WITHOUT WARRANTY, EXPRESS OR IMPLIED, as to any matter, including legal title, physical condition and actual possession. Prospective bidders must rely solely on their independent investigation in purchasing the Properties, including physical inspections and inspection of public documents. At closing, successful bidders will execute a full written release, absolving Seller from all responsibility and liability concerning the existence of any claims, liens, or encumbrances on the Properties, and regarding the physical and environmental condition of the Properties. 5. Registration and Deposit. To qualify as a bidder and obtain a bidder’s card for the auction, each interested party must deposit $5,000 with the Auctioneer before the time of auction, which deposit shall be applied to the purchase price for the successful bidder at closing. This deposit shall be in the form of a cashier’s check made payable to Statewide Auction Company and will be refunded in full to each unsuccessful bidders on the day of the auction. In the event that the winning bidder's offer is not accepted by the Seller or the Court, that bidder’s deposit shall be promptly refunded. By submitting a deposit, each bidder signifies its intent to be bound by all the terms and rules of the Auction Sale. 6. Bid Procedure. Seller shall conduct the Auction Sale through Statewide Auction Company. All successful bids must be consummated at closing by payment of cash or certified funds. There will be no seller financing available. Upon acceptance of the highest bids by the Auctioneer, each successful bidder must sign a memorandum confirming the bid. Each successful bidder’s deposit shall then become nonrefundable, except upon Seller’s default in failing to close the transaction. 7. Closing. First American Title Company will handle closing and issuance of title insurance. The closing of each sale will take place within 5 days after the approval of such sale by the Court. 8. Backup Bidder. The second place bidder of each of the Properties will be deemed the “Backup Bidder” and in the event that the first place bidder on a particular sale shall fail to close for any reason, the Backup bidder may be offered the right to close on its last bid. 9. Liens. The Properties will be sold in their current legal condition, subject to all liens and encumbrances existent at the time of the sale. 10. Property Taxes. Any unpaid property taxes assessed against each Property will be assumed and satisfied by the successful purchaser. 11. Title Insurance. The Seller will provide a standard owner’s policy of title insurance subject to all liens and encumbrances existent at the time of the sale. 12. Property Transfer. At the closing, the seller shall convey each of the Properties via special warranty deed, excepting therefrom all matters shown as exceptions on the commitment report for title insurance, which report shall be available for review prior to the Auction Sale. 13. Default. If a successful bidder defaults and fails to close on the highest bid, Seller may recover from the defaulting bidder consequential damages, specifically including attorney’s fee, lost auction commission, and resultant losses caused by reduction of the sale price or any deficiencies in the resale of the Properties. 14. Governing Law. This agreement shall be governed by, construed and enforced in accordance with the laws of the state of Utah. 15. Disclaimer. Statewide Auction Company and Seller have obtained information about the Properties from third-party sources that they deem to be reliable; however, they make no warranties as to the accuracy thereof, and disclaim all responsibility for errors or omissions in reports, plat maps, advertisements, brochures or other promotional statements and materials relating to the Auction Sale. 16. Modification of Terms. In the Seller’s sole discretion, the Seller may withdraw all or some of the Properties from the Auction Sale, may postpone or cancel the Auction Sale, and may modify the terms and conditions of the Auction Sale. The Fiduciary reserves the right to accept or reject bids.